Rejoice with faith and love! 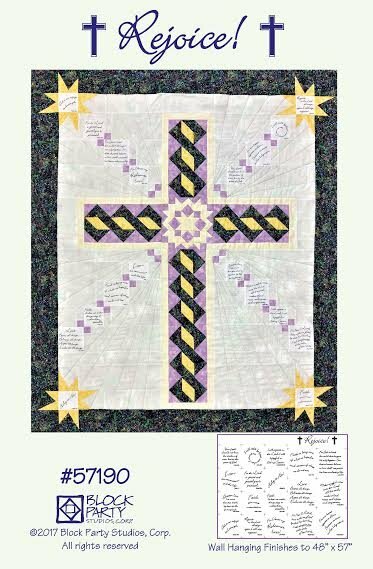 Celebrate your faith with this pattern panel of 12 - 3.5" and 6 - 4.5" squares on white or natural 100% Kona Cotton fabric. Quilt from pattern measures 48" x 57". Copyright © 2007-2019 - Block Party Studios, Corp.